Staff Nurse (Trainee): Applicants who have completed 10+2 plus “A” Grade Nursing Diploma or certificate from recognized Institute approved by the Government. After completion of one-year training, they will be placed in T&S Gr. C or equivalent from a recognized Institute for WCL Recruitment 2018. Technician (Radiographer): Applicants who have completed Diploma in respective Technology from an Institute recognized by the Government. After completion of one year of training, they will be regularized in T&S Gr. C or equivalent from a recognized Institute for WCL Recruitment 2018. Technician (Pathological): Applicants who have completed Diploma in respective Technology from an Institute recognized the Government. After completion of one – year training, they will be regularised in T&S Gr. C.
Audiometry Technician (Trainee): Applicants who have completed Higher Secondary (10+2)/ Intermediate Plus Diploma in Audiometry from Government recognized Institute only. Technician (Refraction/ Optometry, Trainee): Applicants who have completed Higher Secondary (10+2)/ Intermediate Plus Diploma in Refraction/Optometry from Government recognized Institute Only. Jr. Technician (ECG/EEG): Applicants who have completed Higher Secondary (10+2)/ Intermediate and 2 years experience Certificate as ECG Technician in a Hospital under Cardiologist/ Physician or in a reputed Nursing Home having ECG Certificate under a Cardiologist/ Physician. Pharmacist (Trainee): Applicants who have completed Matriculate/ Diploma in Pharmacy & registered with Pharmacy Council under Pharmacy Act, 1948 with valid registration. After completion of one – year training, they will be regularised in T&5 Gr. C or equivalent from a recognized Institute for WCL Recruitment 2018. Jr. Technical Inspector/ Jr. Chemist in T&S: Applicants who have completed Graduate in Science with Chemistry. Eligibility:- Any permanent workmen/employee of the company with one – year service. Telecom Mechanic: Applicants who have completed Standard X of 10+2 scheme I Matriculate or equivalent. Eligibility:- Any permanent employee of the company with one year of service in Cat. IV I Tech . & Sup. Gr. E and above with aptitude for telecom discipline. Jr. Data Entry Operator: Applicants who have completed Matriculate or equivalent. Eligibility:- Any permanent employee having Matriculate or equivalent certificate with 3 years service in the company. Translator (Trainee) OL, Clerical Gr-III: Applicants who have completed B. A or equivalent with Hindi & English. 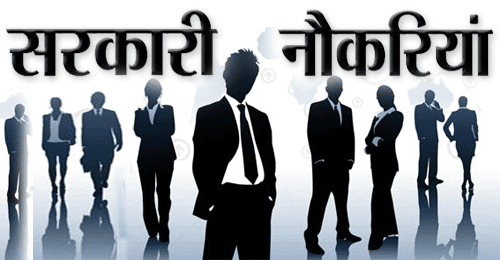 Government Diploma Holder in Hindi Translation preferred. Eligibility:- Any permanent employee with one – year service in the company or equivalent from a recognized Institute for WCL Recruitment 2018. 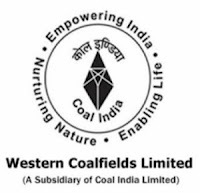 Eligible & Interested candidates can download the Notification & Application form on the Official website page at www.westerncoal.nic.in WCL Recruitment 2018.